The Void is my favorite 24-hour endurance rally. For those not familiar with the concept, it’s like a big motorcycle scavenger hunt. You ride around and look at cool stuff, collecting points along the way. What’s not to like? 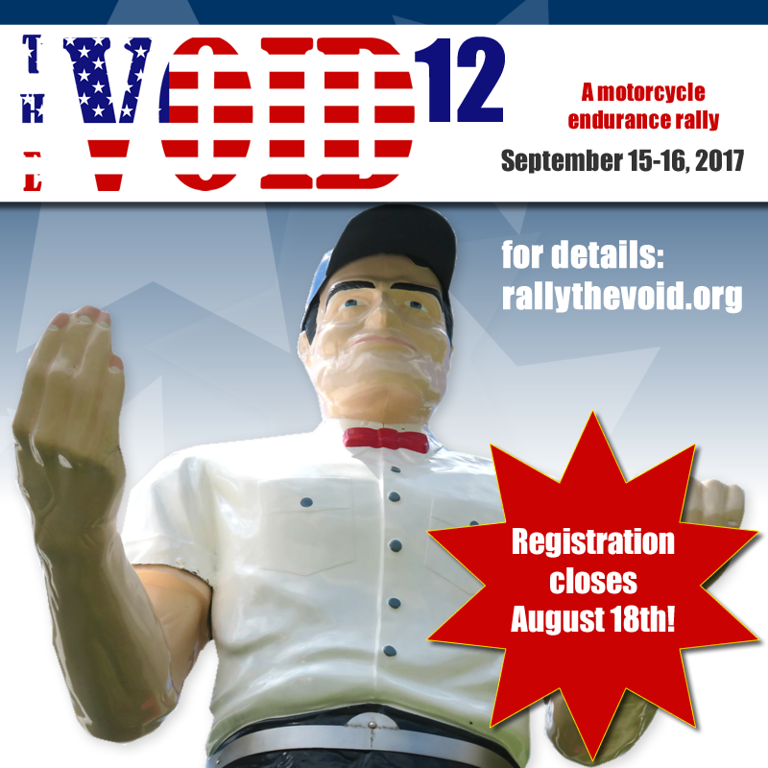 Registration for this year’s American Roadside-themed Void is only open until Friday, August 18th. If you miss out on registration you’ll be sad. The last time someone wanted to register and dillydallied and missed the deadline – a great flood came and wiped out all of the unicorns. You don’t want that kind of pressure hanging over you, do you? Just sayin’. This year I’ll be doing the Void a little differently and am looking forward to getting underway. Hope to see you in Fredericksburg if not before! Rob and I are going to see if we are available to do the Void with you guys, sounds like a good time!